Your bedroom is a private, cherished space. If you desire the bedroom of your dreams, Swanky Interiors can help you make your dream a reality. We spend a third of our lives in restful slumber. Furthermore, we spend even longer in the room, preparing for bed and for sleep, and in the morning, getting up to begin the day. It should therefore be the room you care for most; and which cares for you and provides a sanctuary in return. Why not make your bedroom a room to cherish and love? Why not make it one you are eager to retire to each evening? We have a wide range of beds, wardrobes, chest of drawers and other high-quality items of bedroom furniture to suit your requirements. While the vital building blocks of every bedroom are virtually identical, the outstanding quality of items we have for you will stand out and provide the unique touch you desire. There are bedroom designs for every taste and style here. You now have a superb opportunity to create the bedroom you have always wanted. Decoration of the walls and ceiling, and the choice of appropriate flooring, is all vital to the finished room, of course. However, you cannot underestimate the appeal of choosing stunning furniture to complete the look. Fortunately, Swanky Interiors has put together a beautiful range of bedroom furniture, featuring a wide variety of outstanding collections from renowned designers. Pieces from Alexander Julian, Villa Lumi and Jonathan Charles all feature here. Grace your bedroom with Boca Do Lobo, or select appropriate pieces from the Ottiu range. Regardless of the range you select, every item has been solidly-built, beautifully-designed and made to last. Styles are many and varied, but among them you will find beautifully-made oak furniture, shabby chic furniture and even white bedroom furniture for the purist look. Discover more with Swanky Interiors today, and create your ideal bedroom without delay. A good night’s sleep is so much easier to achieve with a luxurious bed to retire to each night. 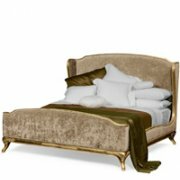 Imagine an upholstered bed in French velvet or French silk, providing comfort and a reassuring level of quality. Sleigh beds also feature in our collection, featuring the Jonathan Charles name. In every case, the bed frames used are built to the highest of standards, providing a reliable base on which to place a luxurious mattress that is designed to last. You can also add to the level of luxury by upgrading from a double bed to a king size bed. Certain products can be purchased as super king size, providing yet another reason to luxuriate beneath the sheets for just a little longer each day. Since the bed holds the most importance in any bedroom, it makes perfect sense to base your entire interior design around this most vital piece of furniture. When you choose from the finest materials and craftsmanship as seen in our collection here, you can be confident in creating the look you require. Every element, from the headboards to the feet, has been carefully considered and constructed to provide lasting good looks and performance. From king size beds to upholstered beds, every item in our range has been carefully chosen to provide you with outstanding performance for years to come. Consider the options for a king bed or a queen bed. Four poster beds can instantly transform a room, yet the luxuriousness of French-style bedroom furniture cannot easily be ignored. However, with a solid collection of designer luxury furniture available for your bedrooms, Swanky Interiors can be relied upon to provide just the level of service and satisfaction you require. A bedroom chair has the power to add the finishing touch you are searching for. 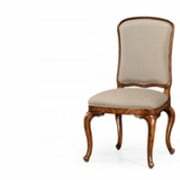 You’ll find some classic styles in our collection of French furniture, including fine upholstered examples from Jonathan Charles. Additionally, both retro and Art Deco styling has inspired some of the other items in the Swanky Interiors collection. If you haven’t yet considered a chair to be added to your bedroom design and styling, you’ll be convinced once you see the attention to detail and styling available within our range. Splash out on a chaise longue if you prefer, or opt for a French-style sofa to position at the foot of your bed, or in an available corner if you wish. Bedroom chairs may seem like a luxury, but in reality they provide a crucial element for any bedroom. A chair provides a focal point that draws the eye to it and impresses you with its cosy feel. What better place to rest and relax at the end of the day, as you get ready to rest, than your carefully-chosen chair, made specifically for use and enjoyment in the bedroom? Chests of drawers are essential items for safely storing your clothes, but they needn’t sacrifice luxury and appeal in the process. 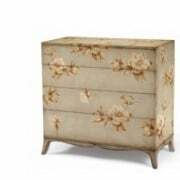 If you’re searching for bedroom drawers with character that have been made to the highest of standards, your search ends now with the range Swanky Interiors has put together. From Art Deco high chests of drawers to those finished in walnut or mahogany, the colour and finish you require to complete your bedroom design ideas can be sourced within our stunning collection. You can avoid the well-trodden road of choosing basic furniture that matches, and instead opt for individual pieces with real character. Each one has been finished with care and attention, each element carefully chosen and only the finest materials used in each case. The finest interior design ideas are based upon the practicalities of the room, of course. Yet here you can see there is plenty of room to exercise some inspiration too. Transform your bedroom with home furnishings from Swanky Interiors that are far above the usual. Be unusual, be proud and be determined to create a space that works for you, and that delivers real class and inspiration. 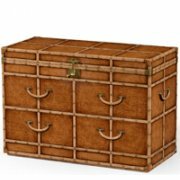 As you can see, a chest in any style is far more than just a piece of furniture in which to store your prized possessions. With trunk-style chests, luxury chests and even a haberdashery available with a tartan finish, there is room for all desires to be indulged here. Why not consider indulging yours today? You’ll no doubt be aware of the importance of allowing enough room to accommodate bedside tables when considering a range of bedroom decorating ideas. Yet they needn’t be blocky and practical, much like the tables you may find elsewhere. If your bedroom world includes side tables with style, you’re in the right place to choose tables with a difference. Here you’ll find glass, gold, silver and wood among the materials used with stunning effect. You’ll also see a variety of appealing styles on display. 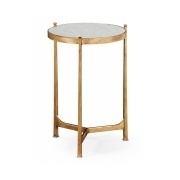 Admire the Art Deco appeal of some of the Jonathan Charles side tables, for example. Alternatively, there are mirrored tables that reflect light and space, while Moroccan-style tables can also be found. The mirrored furniture has the power to help you create a totally different look after dark, when lighting can reflect off the surfaces to create stunning effects on the walls and ceiling. Consider what you wish to position on either side of your bed, and what you wish to put there. If you have a minimalist desire, glass-finished side tables or lamp tables may prove ideal. Alternatively, explore the secrets hidden within some of the carved tables in our collection. Drawers that pull out but remain almost invisible when closed, and tops that swing out to reveal storage underneath – these are but two of the opportunities you have to introduce something a little different into your bedroom plans. How will you complete your bedroom with a well-chosen pair of bedside tables? Whatever you dream of, your perfect bedside table awaits your discovery at Swanky Interiors. Your most treasured bedroom ideas are almost certain to include space for a dressing table. When you are looking for the ideal piece, we would encourage you to consider some of the contemporary furniture we have in our collection. Many provide you with the added convenience of a mirror already included in the design, saving you the task of finding something to match. As you look closer, you will realise every item in this beautiful collection of dressing tables has one thing in common with the rest – the attention to detail and construction. 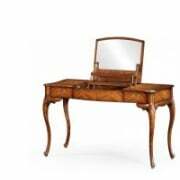 If you desire the finest French bedroom furniture, there are gorgeous dressing tables here to fit this ideal. And as always, the Jonathan Charles collection is as reliable as ever, with beautifully-made walnut dressing tables that provide an outstanding array of storage possibilities. We are proud to provide you with some impeccable pieces that deliver on every level – from style to practicality, and good looks to fine quality workmanship. Purchasing your desired dressing table from Swanky Interiors ensures you can expect and rely on the finest bedroom items, together with outstanding service and delivery. The wardrobe you choose for your bedroom has an important task to perform. It must of course be suitable to hold the clothes you wish to store there. However, you should never focus solely on the practical nature of the item. When the doors are closed, there is an opportunity to appreciate a beautiful piece of furniture. Will you ensure that is the case when looking through our collection of bedroom wardrobes for inspiration? Every item added to our collection of wardrobes and armoires has been selected for its finesse, its beautiful styling and its inspiring finish. A wardrobe, by its very nature, is a large and imposing item. Thus it should be chosen for its dynamic style and appeal, and this will be the case no matter which design you select here. Swanky Interiors provides wardrobes for bedrooms of all kinds. If you wish to make an impression, as well as finding a practical storage opportunity, we can provide everything you desire. Would your bedroom benefit from a stool, ottoman or bench? Bedroom chairs are practical, yet nothing beats the minimalist look of a classic bedroom stool. Ideal for the smaller bedroom, yet still stylish and appealing, these can complete your ideal haven. They’re priced reasonably for such stylish pieces too. Why not look in our furniture sale to see if you can unearth the ideal bargain to complement that white wardrobe, or your Art Deco furniture? 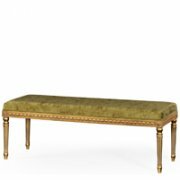 Gilded styling, cream velvet material and French-style upholstery can all be found within the range at Swanky Interiors. Remember too that an ottoman or bench can provide the ideal statement piece when positioned by the bed end. Smaller than the average sofa and yet still practical and beautifully eye-catching, you can doubtless see the advantage of minimalist appeal. It is this that so often convinces many to purchase their bedroom treasures at Swanky Interiors. We’re on hand to assist you in finding the ideal stool, ottoman or bench for your bedroom too. The beauty of a well-decorated bedroom can be cast aside if proper storage is not considered in advance. 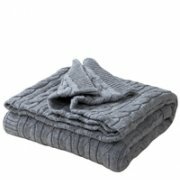 Where can you safely store your blankets and winter clothing during the summer months, without risking any damage? We have sourced some creative and quite stunning solutions that will undoubtedly prove irresistible. Many of these items will provide the perfect foil for oak bedroom furniture, yet in reality any wooden furniture will be nicely complemented by the valet stands and trunks in our collection. Storage doesn’t have to be dull. In fact, we have set out to prove it should be anything but. We believe we have succeeded, and our many satisfied customers have purchased and enjoyed our trunks and blanket boxes and continue to do so. Consider the sizing and solid build of every one of the storage solutions you have here. With wrought iron fittings and superb attention to detail in every respect, you can feel proud of having sourced one of the finest storage solutions available today. It may be that the success or failure of a particular bedroom design rests on the addition of the finishing touches. Painted furniture may make a statement of its own, but who could resist luxury beds when presented with perfectly plumped-up cushions galore? Somehow they have the power to add additional layers of luxuriousness to the room. So, when searching for bedroom furniture UK, be sure to consider the finishing touches as well. We can provide some glorious embroidered cushions in a variety of finishes, yet always with a nice French-style appearance that is designed to suit most colour schemes and designs. Similarly, throws can provide a casual touch that is much-needed during the winter, when perhaps an extra layer is appreciated. Draped casually over the end of the bed, they’re there for comfort when relaxing and reading, as well as providing extra warmth during the night. Swanky Interiors always provides furniture of the very highest quality. From black bedroom furniture to white furniture, and from girls bedroom furniture to beds online, the depth and breadth of pieces included in our collection is, we believe, second to none. 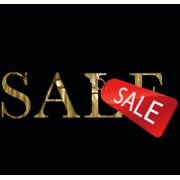 However, while we provide excellent value for money throughout our ranges, we also provide the opportunity to enjoy a bargain in our sale. Whether you are searching for contemporary pieces or something more traditional, it is wise to shop in our sale section prior to making your final choice. With significant percentage discounts available, it is simpler than you might think to save money. So go ahead and indulge yourself with stunning collections from Swanky Interiors!